This 100g organic milk alternative bar with crunchy caramelised hazelnuts is truly scrumptious. Sprinkled with crunchy caramelised hazelnuts on an organic milk alternative bar this is a crunchy, organic, dairy free, bar that everyone can enjoy. Cocoa* [39%] (cocoa butter, cocoa mass), sugar* [30%], rice powder* [17%], caramelised hazelnuts [13%] (sugar, hazelnuts), emulsifier (sunflower lecithin), natural flavouring. *Organic ingredients. 87% of the agricultural ingredients are produced in accordance with the rules of organic production. 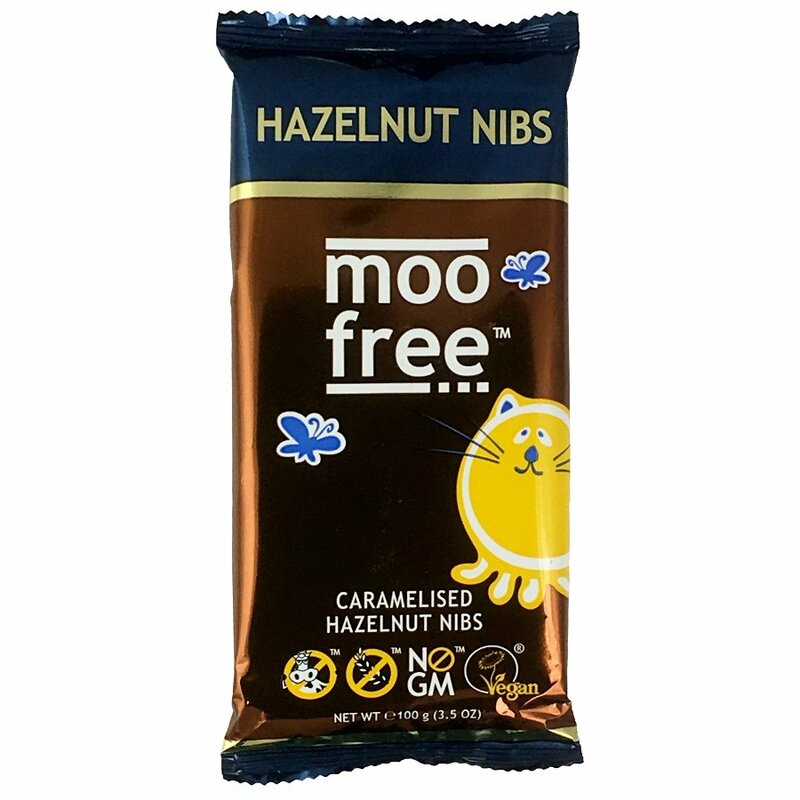 There are currently no questions to display about Dairy Free Caramelised Hazelnut Chocolate Bar 100g.